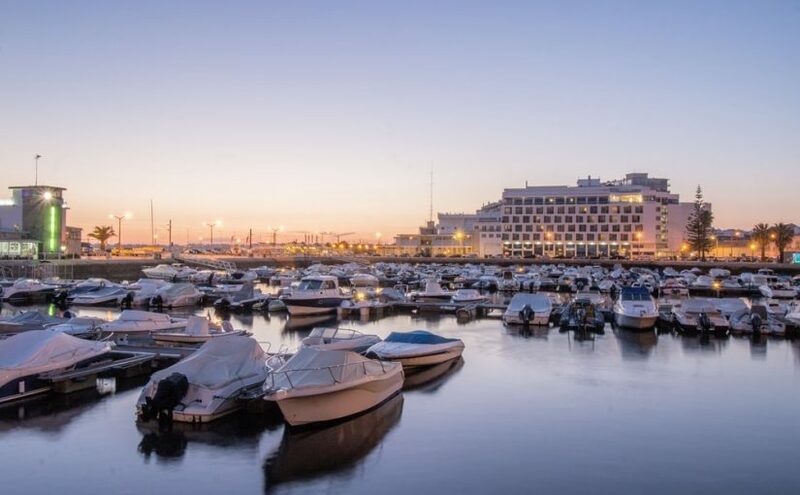 Faro is more Portuguese than any other town and the Algarve’s capital has an attractive marina, plenty of manicured parks and small plazas, and once in the historic old town there is plenty to see and refreshment is never far away in the shape of street cafes. Thought to be built upon the site of Roman temple the square, castle-like cathedral with just the tower gate and some of the chapels left as evidence of the original Romanesque-Gothic structure. Inside are ornate baroque altarpieces with the altar being in the centre of matching vaulted Gothic chapels. The Sé, which is at the heart of the Cidade Velha, was originally finished in 1251 but was almost destroyed in an earthquake in the 18th century and what is left is a range of Renaissance, Gothic and baroque wonderful views can be had by climbing the tower and also here you will find the fascinating Museu Capitular, which is well worth a visit. A delightfully converted building that is home to many exhibitions by famous artists as well as well-known local ones. The exhibitions change often so it’s worth a visit to see what the latest art on display is about, which can be anything from photography to sculptures. Not a big place but a nice diversion while strolling through Faro’s streets. Just an afternoon or a morning will be enough for you to discover Faro’s abundance of history which you can see in the many sights and monuments situated in the old town. The historic centre is guarded by the medieval city walls and the way in to the Old Town is under the impressive Arco do Vila gate where you’ll begin stepping on the cobbled streets that lead up to the Se Cathedral, Paco Episcopal Palace and the Nossa Senhora convent. Due to its location Faro is a haven for wildlife and the Ria Formosa nature park does its bit by protecting the mud flats and salt water lagoons, which play host to thousands of birds that lie between Faro and the sand dune islands. Because they are sheltered many migratory birds and marine life visit the area. How about some peace and tranquillity far away from the crowds? The Ilha Deserta is a unique place in the region and forms a remote sand bar island south of Faro, boasting some of the best and unspoilt beaches to be found in the Algarve. With just one (expensive) restaurant on the 9km of sand you can easily lose yourself in the relaxing ambiance of the beach. 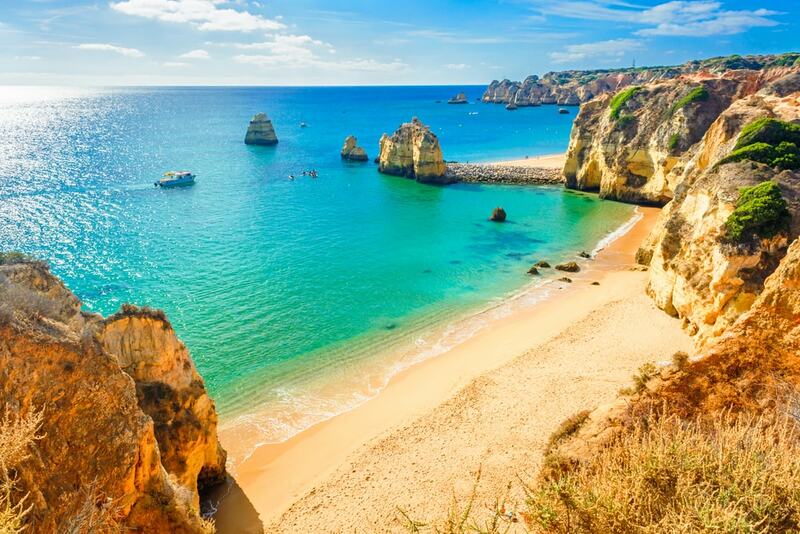 Being Portugal’s most southerly point, the Cabo de Santa Maria, has a lagoon on one side here the still waters make it perfect for exploring with a snorkel. 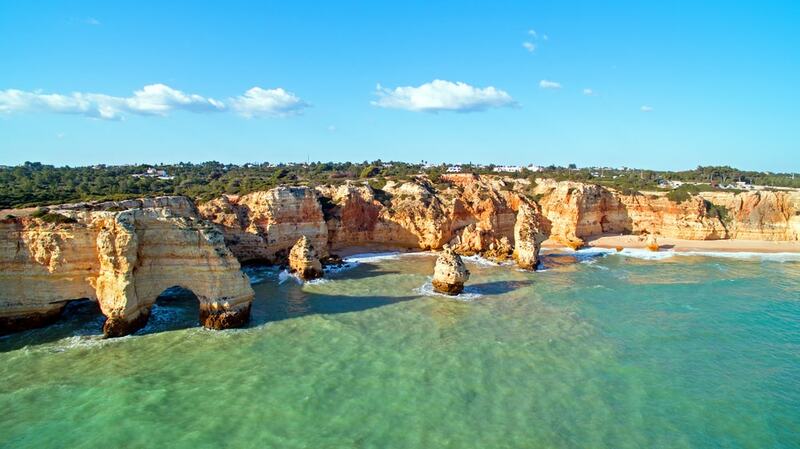 Goldcar, a market leader in holiday car rental, offers cheap deals and offers for travel in Portugal and all over Europe. With over 80 offices and 1,000 staff managing a constantly renewed fleet of 50,000 vehicles, they have a choice of vehicles and rates to suit all budgets. Hire online at Goldcar.es and make savings on your holiday rental with a leader in the industry.